Fly from Arusha to the Eastern Serengeti Ecosystem - your safari adventure begins! Enjoy delicious picnic lunches out in the bush as you explore the wildlife-filled parks. Feel the wind in your hair as you bounce along the dirt roads of the Eastern Serengeti Ecosystem. During one morning walk, you could come upon a full giraffe skeleton. Wow! 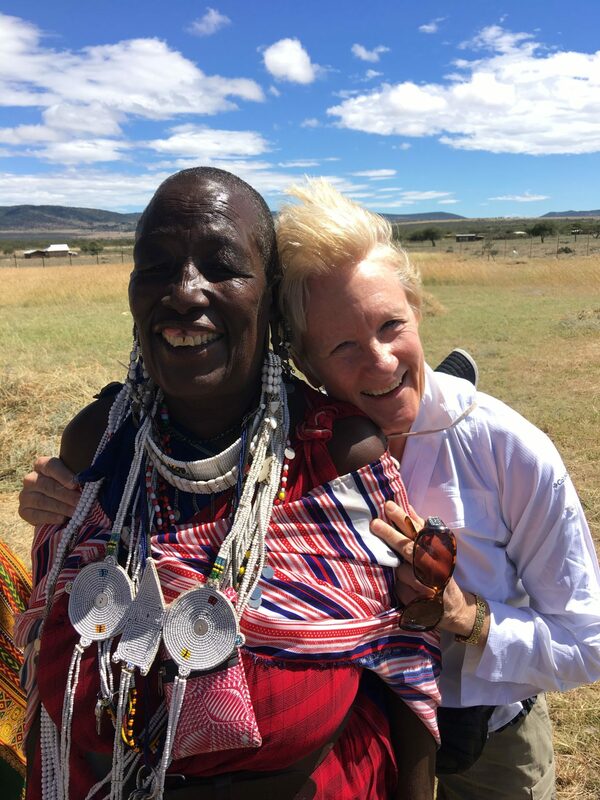 Visit a Maasai boma and learn about their way of life by spending some time with the women. While you're at your nyumbas (Swahili for "home") take some time to sit on your own veranda and enjoy a cup of morning tea or coffee. Enjoy rustic luxury, or "glamping" in the African bush. You'll have all the essentials, including solar lighting, private en-suite bathrooms with a water-saving safari shower, self contained flush toilets, and proper beds with fine linens. And there is nothing like sitting around the campfire pit for drinks and relaxation after dinner. Sit down for lunches as a group at special picnic spots to maximize your time with the animals. Enjoy drinks and watch the African sunset. Visit the farm animals, and even try your hand at milking a cow! Spend a full day in Ngorongoro Crater, an unbroken caldera home to the most dense population of wildlife in the world. You can spot all of the Big 5 in the Ngorongoro Crater - keep your eyes open for the elusive rhino, and enjoy watching zebra and wildebeest mingle near water sources. Experience the wonder of the world as it once was on an epic journey into the wilds of Tanzania, Africa’s premiere safari destination, to see the Great Migration on the Serengeti in May and October 2019. Begin your Tanzania safari adventure with a scenic flight to the Eastern Serengeti ecosystem. Stay in a private, tented safari camp in a 12,000-acre nature refuge, home to leopards, elands, giraffes, and even rare wild dogs. The rustic luxury of your tented nyumba camp offers the quintessential African bush safari experience, with all the comforts (like fine linens and en suite private baths) a modern traveler expects. Visit a boma, the traditional mud-and-dung homes of the nomadic Maasai people. 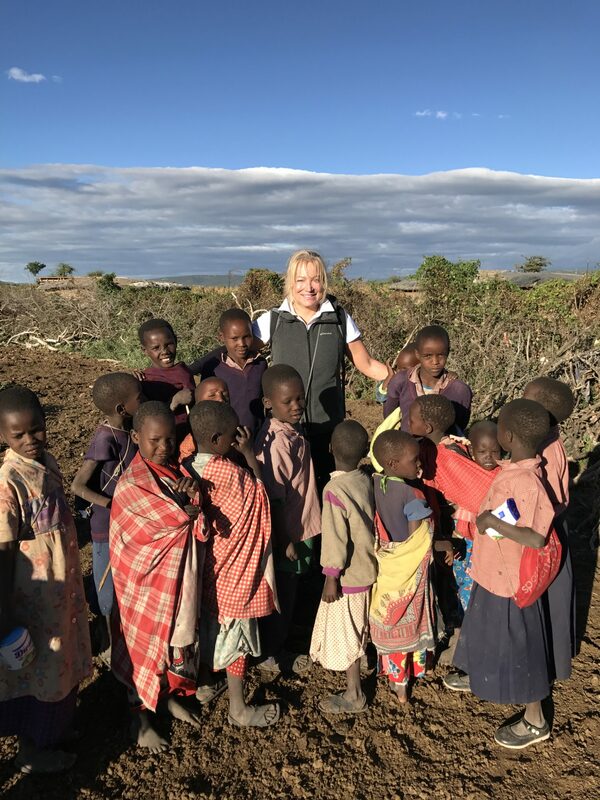 There, you and your fellow travelers will meet the Maasai women, and learn about their very different lives: raising kids in the remote wilderness, living in a country where women are still second-class citizens, and possibly being one of multiple wives! You’ll come away feeling bonded both to the women and each other. An evening visit by Maasai warriors, who will perform a traditional rhythmic dance for you, will be an unforgettable highlight of the journey. Bond with your fellow Tanzania adventurers on a morning wildlife hike, a chance to spot especially elusive creatures, like silver-backed jackals and walk among giraffes. A visit with the Enjipai Women’s Group will show you firsthand how tourism is being used as a force for good in this remote region of Tanzania, and an afternoon tracking hike through the rocky hillsides gives an up-close experience of the wildlife and plant life native to the region. See which of your new AdventureWomen friends has the sharpest eyes on a night drive through the refuge – an opportunity few travelers ever enjoy – as you watch for nocturnal aardvarks, porcupines, and spring hares. Head to the majestic Serengeti, where zebras, lions, elephants, and cheetah wander the iconic plains. You’ll enjoy three days of the best wildlife safari viewing on earth, including sightings of the Great Migration of over 2 million wildebeest and other grazing mammals. An optional hot-air balloon ride will offer breathtaking views of the Serengeti. End your journey in the Ngorongoro Highlands, a lush hilly region of Tanzania that holds the world-famous Ngorongoro Crater. Visit the crater floor, a self-contained ecosystem that holds over 30,000 exotic animals, including all of the Big Five if you’re lucky. Gourmet meals and stunning accommodations at award-winning Gibb’s Farm are a perfect way to unwind after an adventure-filled journey. Witness the world’s most majestic creatures in their stunning natural habitats on this ten-day journey in May 2019 to Tanzania’s Serengeti, the heart of the wild! AdventureWomen’s Botswana: A Wildlife Safari in Southern Africa adventure begins the day after the Tanzania Safari ends. Have a day in between to catch your breath, and experience the best of what the Tanzania and Botswana areas have to offer! You buy only one plane ticket for two vacations! Enjoy a light snack at the lodge. Take a short scenic flight from Arusha to the eastern Serengeti ecosystem. You will be welcomed upon arrival at the airstrip. Your guide will accompany you throughout your safari, offering cultural insights, wildlife spotting expertise and in-depth knowledge of wildlife behavior. Your guide will give you a brief tour and history of the 12,000-acre refuge as you make your way to camp. Enjoy wildlife viewing along the way, one of the tangible results of conservation efforts in the area. Giraffe, eland, dik dik, ostrich, leopard and even wild dog can be seen in this unique wildlife haven, dubbed “Giraffic Park” by one enthusiastic guest. Relax at your Nyumba and enjoy a tasty lunch. Your head guide will brief you on your itinerary and review the expectations for your safari, giving you a taste of what’s to come. Please ask the guide questions at this time and as they come up during the safari. Immerse yourself in the semi-nomadic culture of the Maasai by visiting a boma, which is a settlement of circular mud-and-dung Maasai homes. Many Maasai still roam the plains of northern Tanzania with their herds of cattle, maintaining their traditions while adapting to new ways of life. Learn more about their extraordinary culture as you tour the boma and take in the scenes of village life. Enjoy a welcome dinner and the full Tanzanian hospitality that comes with it. A group of local Maasai warriors visit the camp tonight and perform a traditional rhythmical dance. The group chose to name themselves for the word “unity” in the Maa language. They are a fine example of Maasai who are successfully bridging two worlds – showing their entrepreneurial spirit and motivation, yet staying true to their chosen lifestyle and traditions. The Enjipai Women’s Group was formed by a small group of Maasai women with a great entrepreneurial spirit. Now numbering over 100 members, the collaborative already has several successful microfinance initiatives underway. Take to the plains and rocky hillsides of the Eastern Serengeti Ecosystem on foot, following animal tracks and enjoying the scenery. Your guide will be a great resource on this hike, pointing out anything of interest that you happen to encounter along the way: from the behavior of a particular insect to the pattern of footprints near a water source to the traditional uses of a specific plant. It’s typical to see wildlife on this walk, including giraffe and several varieties of antelope. Enjoy your Nyumba, whether you get in a workout with a Keep Fit Kit, learn a traditional Tanzanian game from your guide, write in your journal, or simply put up your feet and relax. There is nothing as marvelous as traversing the plains of the Serengeti just after dawn and through the morning hours. Look for herds of wildebeest, zebra, giraffe, impala, eland, topi, and more out on the savanna. What better way to enjoy a view of the Serengeti plains than over a satisfying, relaxing lunch at camp. Once you return from wildlife viewing, take time to sit by the fire and relax. Exchange stories of the day, write in your journals or simply enjoy the fresh evening breeze. Enjoy your lunch outdoors in a scenic spot. Spend more time seeking out wildlife and exploring the Serengeti’s rich landscapes. The so-called Big Five and the Great Migration are the most well- known of the Serengeti’s offerings, but there is much more to see. Thousands of equally fascinating dramas of a smaller scale play themselves out on these endless plains. After being on the go for several days, it’s always nice to take a break and put your feet up at camp. Take a scenic flight from the Serengeti to the Ngorongoro Highlands. You may choose to spend the afternoon relaxing on the verandah with tea, or taking advantage of innumerable optional activities: a farm or garden tour, bird watching, coffee roasting, and more. Take a leisurely stroll on your own through the gardens at Gibb’s Farm to stretch your legs. Enjoy the quiet atmosphere, the abundance of beautiful plantings and the views out into the surrounding highlands. Arrive: Arrive at Kilimanjaro International Airport (JRO) in Arusha, Tanzania on May 20, 2019. Depart: Depart Kilimanjaro International Airport (JRO) on May 29, 2019. Arrive: Arrive at Kilimanjaro International Airport (JRO) in Arusha, Tanzania on May 29, 2019. Depart: Depart Kilimanjaro International Airport (JRO) on June 7, 2019. Arrive: Arrive at Kilimanjaro International Airport (JRO) in Arusha, Tanzania on October 4, 2019. Depart: Depart Kilimanjaro International Airport (JRO) on October 13, 2019. Arrive: Arrive at Kilimanjaro International Airport (JRO) in Arusha, Tanzania on October 21, 2019. Depart: Depart Kilimanjaro International Airport (JRO) on October 30, 2019. Citizens of the United States must have a passport valid for six months beyond your travel dates and a minimum of two blank fancing pages. You must apply for an Tanzania visa. If you do not have a passport, please apply now! AdventureWomen will send you the necessary documents and instructions to apply for a visa, but please do not apply before February 2019! Credit cards are accepted at some lodges and some high-end shops; however, usage some with surcharges from 6% to 15%. Please do not plan on using ATMs in Tanzania. This former private residence is a unique property located on the outskirts of Arusha; it has been a refuge for injured or orphaned animals for over 15 years. Homey, comfortable cottages are placed throughout the garden, while in the main building, an elegant lounge and dining area offer a quiet place to relax and share safari stories. At one end of the picturesque garden, there is a semi-enclosed park- like setting where marabou stork, zebra, gazelle, warthog and even elephant recover from injuries obtained in the wild. Depending on their condition, every effort is made to reintroduce them to the wild. Sitting on a slope of Moruga Hill, your Eastern Serengeti Nyumba overlooks a sweeping valley of wooded savannah, wide-open plains, and a remote wilderness like no other in Tanzania. With its signature style, the campsite provides the perfect place from which you can explore the Eastern Serengeti’s rolling hills and woodlands by foot or by vehicle and engage in authentic Maasai cultural programs. After your adventures, the Nyumba offers exquisite, environmentally responsible comforts and personalized care. En-suite bathrooms have water- saving safari showers and self-contained, pump- flush toilets. Enjoy a refreshing beverage at your private verandah as you look out to the acacia-covered plains where giraffe, wildebeest, and gazelle sometimes graze. This is Tanzania at its boundless magical best. Your signature Serengeti Nyumba is the perfect balance of luxury, comfort and wilderness. In the spacious, walk-in tents, you will find all the comforts you need out in the bush: artfully crafted furnishings, cozy bedding with fine linens, solar- powered, eco-friendly lighting, and an en-suite bathroom with shower and self-contained pump- flush toilet. Oversized, fine-mesh windows allow the breezes to circulate while keeping insects out. At the front of your tent, enjoy a private seating area with a stunning view of the vast Serengeti plains. Meals are taken in a custom-designed dining tent and are made with fresh, local produce by skilled chefs. Freshly baked breads, homemade soups, salads, a variety of healthful, delicious entrees and, of course, decadent desserts highlight the daily menus. Due to aircraft and vehicle restrictions, your checked luggage must be a soft-sided duffel bag, no larger than 30”L x 15”W x 15”W, without a rigid structure - you should be able to squash your bag into a ball. Your baggage allowance for any internal flights within Tanzania is 15kg (33lbs) for your duffel bag. A spare, very light duffel bag or day pack rolled or folded into your main duffel bag is useful for transporting souvenir items home. Use your daypack as your carry-on bag for your flights. Your carry-on should have all valuables and essentials: money, passports and important documents, medications, cameras and memory cards, a full change of clothing, and toiletries. You will be able to do laundry at the safari camps, for a small fee, weather permitting, so this should encourage you to pack light! What guests are saying "Tanzania: Exploring The Secret Serengeti on Safari"